cakes can convert any moment into an occasion and what if we bake something on a special occasion of Diwali. traditionally lots of mithais i.e. sweets are prepared for Diwali. 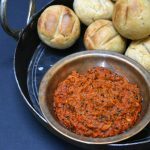 however, at times, the Kadai should be put to rest and the oven should be switched on. 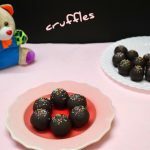 cakes and cookies are also loved by the kids, who at times get bored of the sweets prepared for Diwali. 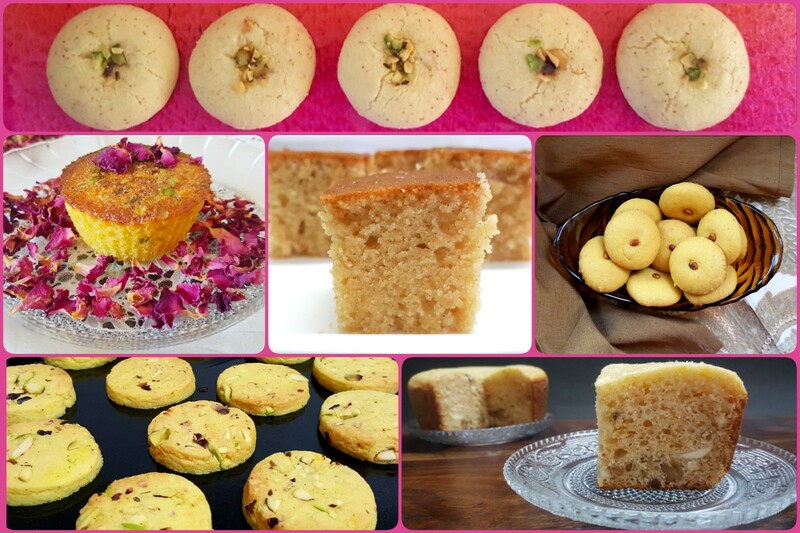 here is a collection of eggless cakes and cookies that are so Indian and festive, just so right for Diwali! 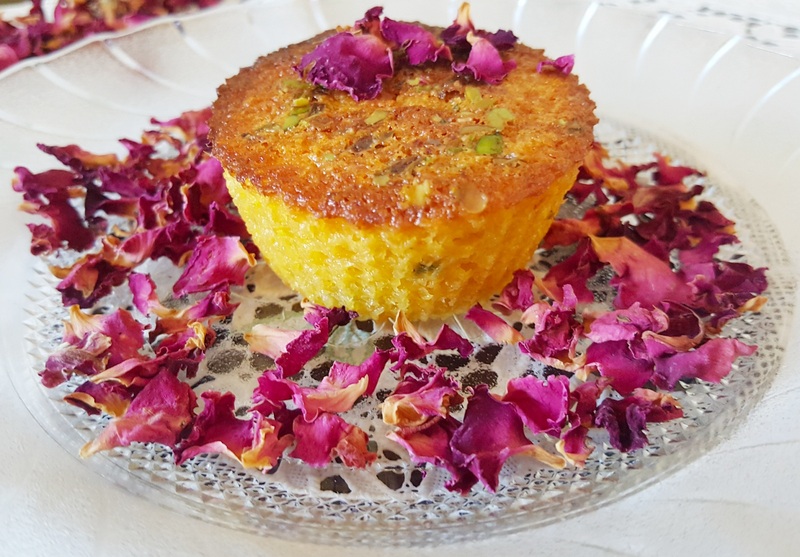 when the preparation for this cake is done, looking at the ingredients, it is hard for anyone to believe that a cake is being prepared and not an Indian sweet. loaded with Indian flavors, this cake is nothing less than divine. 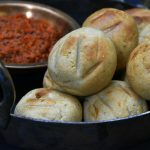 the Indian shortbread which has the perfect soft and crumbly texture with the flavor of ghee and cardamom, so easy to make that you will end up making batches after batches for your family, friends, foes… maybe! no reason is big enough to not bake a cake. not even absence of oven! 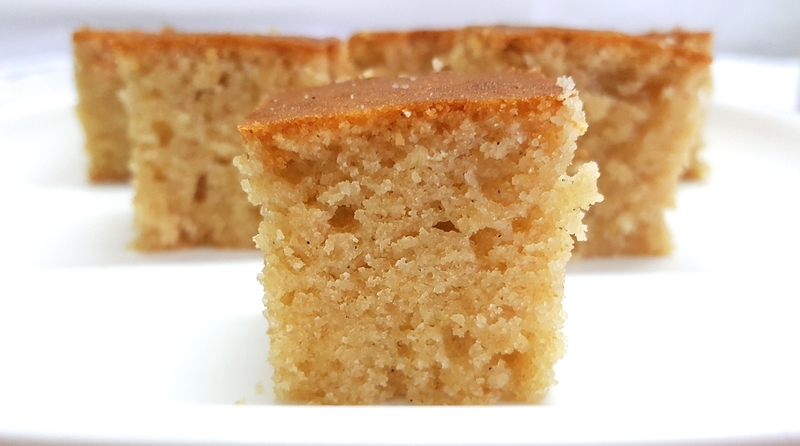 here is a recipe that gives perfectly spongy, soft and moist cake, without an oven. besan ladoo is generally prepared on various festivals. 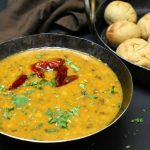 you may not be in a mood to make besan ladoo still you can fill your house with the beautiful aroma of gram flour. 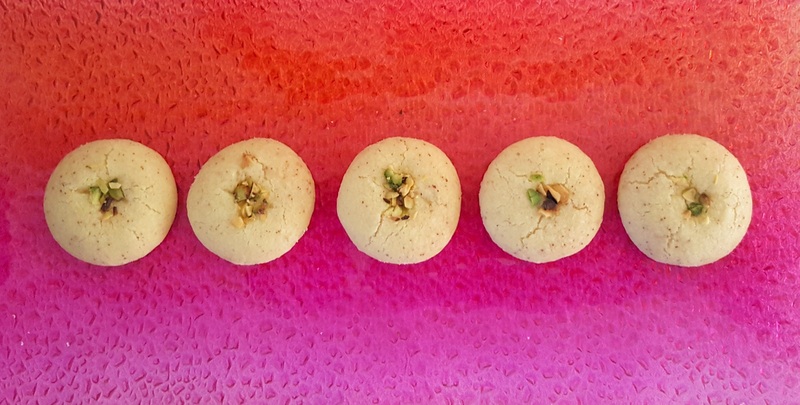 just bake this besan nankhatai without an oven. this one cake is a regular bake at my place. serve it to your guests and kids and you will have a hard time convincing them that is a whole wheat flour cake with no all-purpose flour at all. 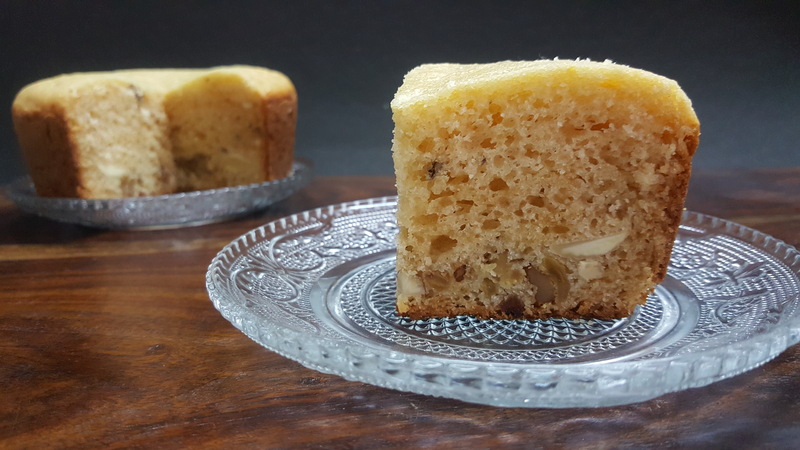 further, you may take this cake to another level by add dry fruits and nuts of your choice. 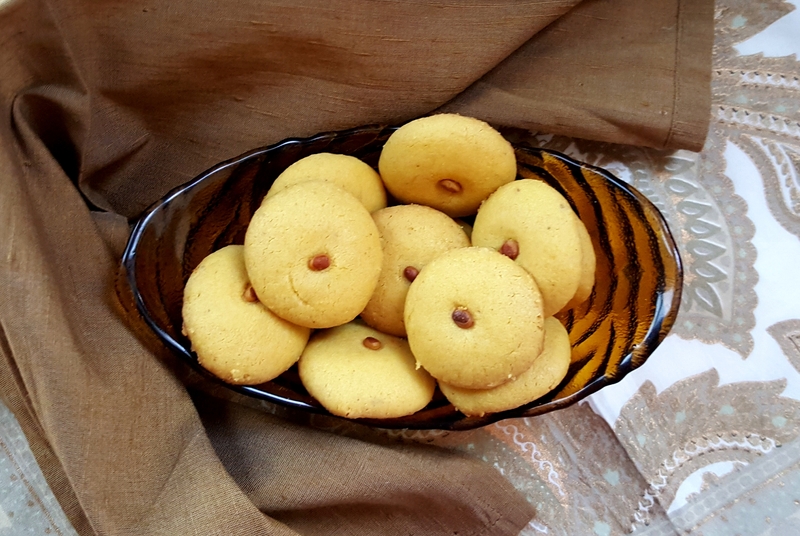 a box of eggless saffron cookies will certainly bring a big smile on the face of any person to whom it is gifted or served. 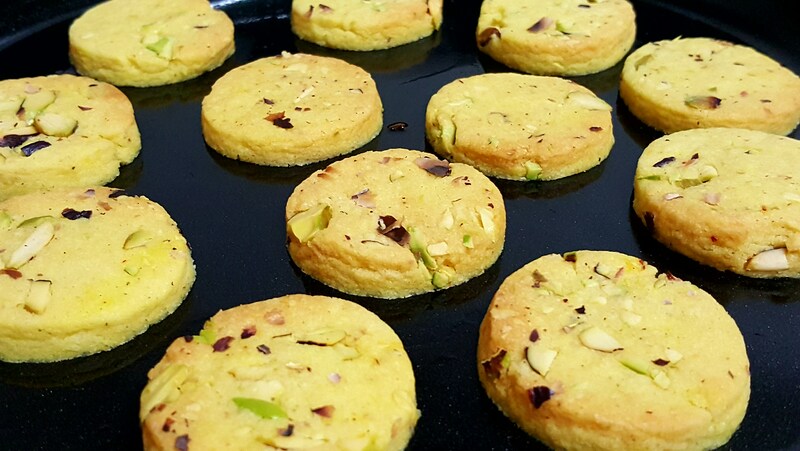 these gorgeous cookies are just so apt for Diwali or any other special occasion.